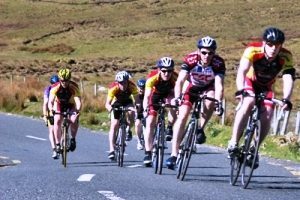 Cyclists will have a choice of a 45KM or a 120KM route through the picturesque setting of Connemara. Roadside assistance, support vehicles and plenty of refreshment stops will be provided on the day. All cyclists must sign in on the morning at the NUIG Regional Sports Pavilion, Dangan, Galway between 7.00am – 8.00am, with the first wave for 120km starting at 8.15am second wave at 8.25am and the 45km cycle starting at 8.30am. Cyclists must return their sponsorship/donation at this time. Starting at the NUIG Regional Sports Pavilion in Dangan, the 120KM Riders will turn left onto the N59 and ride along Newcastle Road. At the Traffic Lights, turn left onto the Quincentennial Bridge and follow the signs to Headford. The Route then follows through Headford, onto Cong, Maam, Maam Cross, Oughterard, Moycullen and will finish at the Croí Heart & Stroke. The 45KM Riders will turn right onto the N59 and travel out to Oughterard and back to the finish at the Croí Heart & Stroke Centre. Each route is fully supported with food stops on the 120km at Headford, Cong, Maam, Oughterard (45km food stop) and once home to Croi House you can rest and enjoy our famous race hospitality – home baked goodies, tea, coffee and sandwiches!